Other photos: Manufacturer Provided Image: 810 RPH, Manufacturer Provided Image: Cruising, Manufacturer Provided Image: Flybridge, Manufacturer Provided Image: View From Above, Manufacturer Provided Image: Saloon, Manufacturer Provided Image: Helm, Manufacturer Provided Image: Cabin, Photo 8, Photo 9, Photo 10, Photo 11, Photo 12, Photo 13, Photo 14, Photo 15, Photo 16, Photo 17. 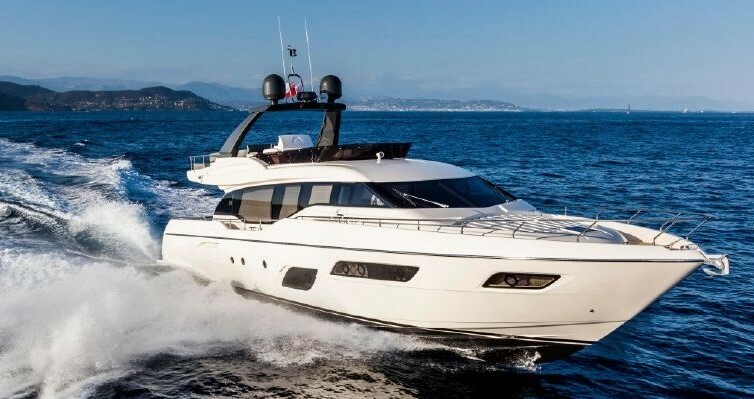 A late model Ferretti Yachts 810 RPH (one of the last ones built) available for sale from her original owner. She was commissioned for private use only and has never been chartered. Her custom layout includes a gym / sauna room in lieu of the port guest cabin (easily convertible to standard layout). Seriously for sale and available for inspections.